We all want to make money, but that’s not what it has to be about. You should be podcasting because you love what you’re doing and you love the topic you’re podcasting about, not because you want to make money. Passion is where it’s at. If you’re not passionate, your listeners will know. Leo often talks about his disdain for the word podcasting since it doesn’t cover the entire industry and doesn’t sound as important as it is. As Leo stated, podcasters are changing the entire world, especially in the media industry. Mass media is actually a very young industry, and it’s still changing rapidly. Podcasters are shaping the future. We often talk about finding new listeners and building our audiences, but podcaster’s listeners are more than that. They’re our friends, our peers, and our community. And that’s what podcasters need to focus on – making their show a good experience so people want to be part of what you’re doing. Consumers are smart, so you can’t trick them anymore. Instead, you have to present ads in a way that makes sense for your listeners – your community, if you will. For example, on Leo’s show, they do ad slots, but it’s more of a conversation about the features of a product instead of a commercial. Ad recall for him is extremely high, which is great news for his advertisers, but some aren’t interested because there’s no smoke and mirrors. You have to have a good product with good features instead of tricking the consumer. Digital broadcasting isn’t like big media as we know it today, and in Leo’s opinion, we should stop trying to be like television, radio, etc. We’re going to succeed because we’re different, and today’s mass media should be scared of that. Podcasters (any kind of digital broadcasters really) need to embrace their different-ness, because that’s how we’ll really change the world. Want to see even more content from the show? Check out NMX University, our educational membership community where you’ll find virtual sessions, keynote recordings, bonus videos, and more! Hey everyone, Cliff Ravenscraft here. I’m back with another episode of The Podcast Report with my co-host, Megan Enloe. 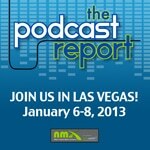 One of the major highlights of the NMX event in January will be the Podcast Pavilion. Megan and I discuss the vision behind the Podcast Pavilion and share only a few details about why we are so excited about this portion of the show. Please know that there is so much more that we were not yet able to share in this episode of The Podcast Report. However, as soon as we confirm the additional details, we will be sharing some more exciting news about the Podcast Pavilion. On September 18th, NMX announced that the 8th Annual Podcast Awards would be hosted at NMX this January. The most exciting part of this for me is the fact that Leo Laporte will be our emcee for the podcast awards ceremony on Monday, January 7th. If you are serious about your podcasting efforts, I highly recommend that you attend the leading podcast industry conference. If you haven’t registered yet, click here to get registered today. Why Didn’t Pepcom Recognize Leo Laporte? 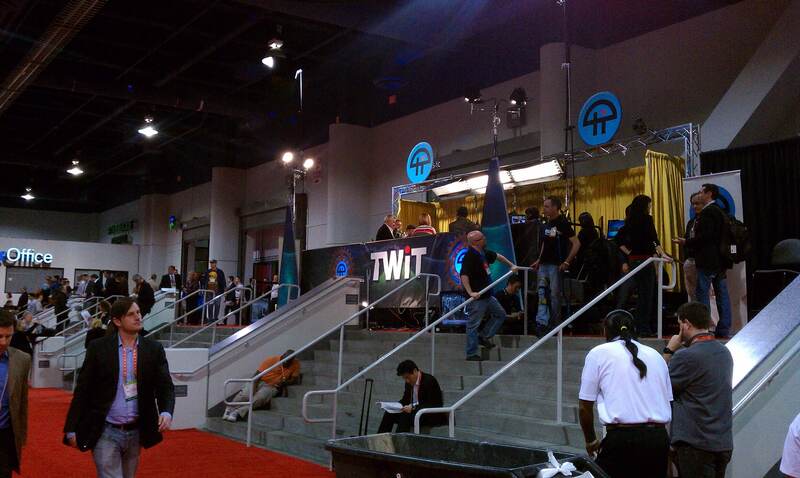 Right now, the Internet is buzzing with CES news as bloggers check out the latest consumer technology offerings. 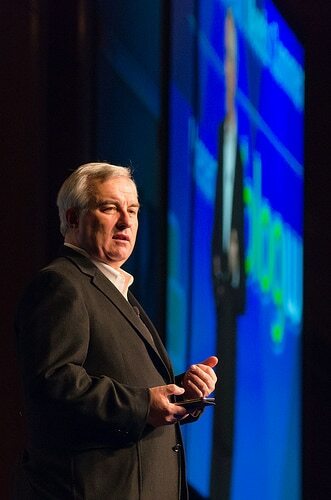 Last night, though, there was a break in the tweets about tech as people expressed outrage over popular podcaster, radio show host, and blogger Leo Laporte was denied access to a pre-CES press event called The Digital Experience put on by PR company Pepcom. Apparently, they didn’t know who he was. Leo’s pretty much a go-to guy in the tech field, so as you can guess, most of his fans were baffled. 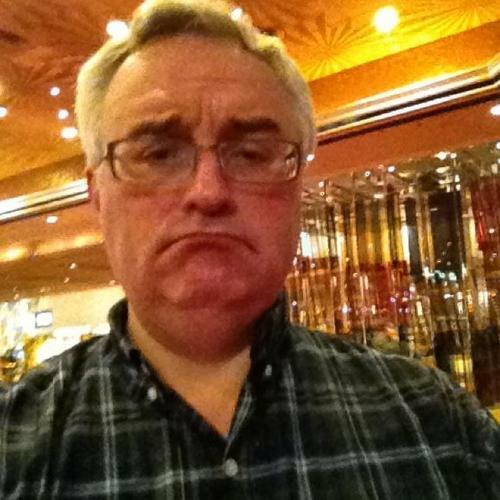 Sad panda picture Leo posted on his blog after being denied access to The Digital Experience at CES 2012. In a quick audio clip, Leo says that he was denied access because they didn’t have credentials – proof that he qualifies as press in the tech field. I don’t know if that was a mistake on Leo’s end by not sending in paperwork or a mistake on Pepcom’s end by misplacing the paperwork. My attempts to contact Pepcom have gone unanswered. Because Pepcom is being tight-lipped about what happened at The Digital Experience door, I’ll be clear about one thing: I don’t think an a-lister in any industry has the right to demand, “DON’T YOU KNOW WHO I AM?!? !” when they haven’t followed the registration process for an event. It’s rude, and more importantly, event staffers need the numbers ahead of time to make sure there’s enough food and they’re following fire code laws. That said, I really doubt that this is what happened. This isn’t Leo’s first time at a major event, and he’s not known for being a diva. I think this was simply a case of crossed wires (appropriate for a tech event, right?). I think there was a mix-up with the registration and Leo was mistakenly left off the list. No matter who was to blame, though, what really matters is that Pepcom staffers – those at the door representing the company – should have without question allowed him access. See, if you’re a business owner, especially a PR agency, you’re responsible for knowing who the content creators are in your industry. Access for Leo would have meant a ton of additional press for their event, and for all of the companies at their event. Word on the street is that the companies involved paid $15,000 to have a booth at The Digital Experience, and when you’re shelling out that kind of dough, you want access to the best media personalities and analysts in the industry. The fact that Leo instead went somewhere else that evening was a huge blow to those companies. It can be difficult to know everyone in your industry, especially when you’re new. I’ll never forget the look of shock and horror on a friend’s face when I asked, “Who is Chris Brogan?” several years ago. As a relatively new blogger, I legitimately didn’t know. So I don’t really blame the people working the door for not knowing. The first person I blame is the person who put together the list. If the people working the door were newbies, they should have had a group of people under the header, “These people didn’t complete the registration process correctly, but they need to be allowed access anyway because they’re a-listers and we want them at our event.” Okay, maybe the header needs a little work, but you get the idea. At the very least, there should have been protocol – someone at Pepcom who well acquainted with people in the tech industry should have been on call to give approval (or not) if someone arrive who wasn’t on the list. Especially when they arrived with a camera crew who was on the list. It was obviously a mistake. The second person (or team of people) I blame is whoever was running Pepcom’s social media accounts. It’s bad enough that this was exploding on Twitter and Pepcom didn’t respond. After Leo’s initial tweet, tons of his fans tweeted about it. When looking to see if Pepcom responded…I couldn’t even find a valid Twitter account for them. Their site says @PepcomEvents, but there’s no profile under that name, and @Pepcom is a egg profile with no tweets. Maybe I’m missing something? How are you a PR events company without a Twitter account? Update: I’ve been told be a few people that @PepcomEvents was their Twitter handle, but when they started getting all sorts of negative attention over the Leo incident, they changed it so people couldn’t find them and eventually just completely disappeared. I can’t confirm this because, once again, Pepcom ignored my emails and phone call…but…WOW. There are no other words. Just wow. What they do definitely have is a Facebook page…which says nothing about the Leo Laporte incident. in fact, they very quickly deleted every post mentioning it as it was uploaded to their page. You can see now that their wall is squeaky clean with no negative posts at all. But this is the Internet. Once something is posted, it doesn’t just disappear. Facebook user Adam J. Kragt was smart enough to start taking screenshots as posts were being deleted. Pepcom took that post off their wall of course, but you can still see the images here. People were mad. In his audio clip, Leo sounded more disappointed than angry, but in any case, this was a huge Pepcom mistake, and they didn’t do anything to correct it. Social media gives us the awesome ability to screw up in public…but it also gives us the chance to easily and publicly apologize and make things right. As soon as he was denied access, Pepcom should have reached out to him on Twitter or Facebook and corrected the problem. Somebody was obviously monitoring their social media accounts (at least, on Facebook), so why didn’t anyone try to fix the mistake? Why did they instead try to hide it by deleting negative posts? But what really matters to Pepcom, to any business, is the button line – the money. And if I was a company involved with their event or thinking about getting involved with it, I wouldn’t be so quick to jump on board next year. I would be more inclined to spend my sponsorship budget on other events where major players in the industry aren’t turned away at the door. Leo has said that he won’t be going back to their events and I’d be worried, as a sponsor, that others would follow in his footsteps. So while the general public will probably easily forget, the people who write the checks won’t…and when they search for press about The Digital Experience, this post is what they’ll find. When I read Alli’s post, I pretty much agreed with her entire Post. One thing that struck me is that Leo’s TWiT is one of the most high profile press entities at CES. He has one of only two networks I am aware of that have a booth at the front of the show. The other is CNET. I had our Deb go take a couple photos of Leo’s booth. 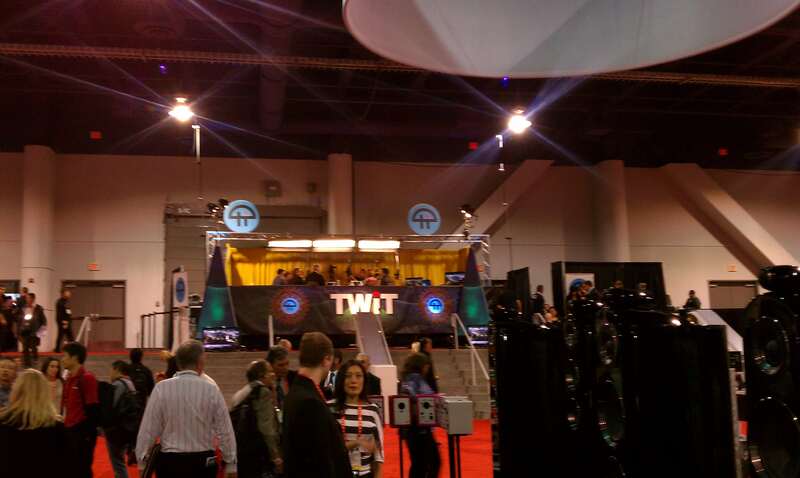 Here is the TWiT booth at the very front of the South Hall at CES. Pretty hard for any attendee at CES including the PR flacks to miss.